In November 2016, when Ishtiyaq Nazir Bhat, 27, and Mujtaba Bashir, 29, first stepped into Wadipora locality of Budgam town to educated people how to segregate household waste into organic and inorganic bins, they were cornered by questioning eyes and skeptical faces. 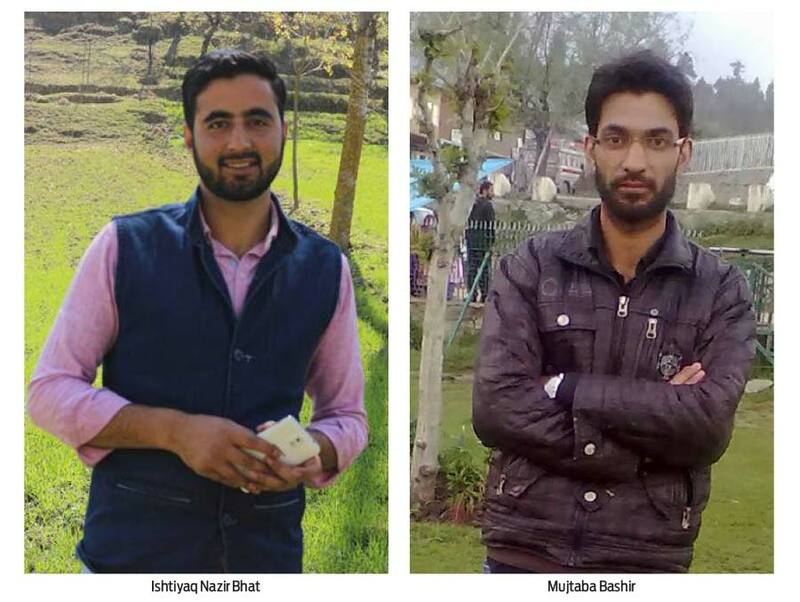 Fresh from their three month long training in Solid Waste Manage (SWM), at Indore (Maharashtra), Ishtiyaq and Mujtaba were confident they will clean both Budgam town and people’s perceptions. Both residents of Budgam, the duo stuck to the books and stated with IEC (information, education and communication). Their plan was simple and cheap: first educate them about different types of waste; then give each household two dustbins (one each for organic and inorganic waste); help them segregate, and then collect and transport it separately to a compost site for processing. “The most difficult part was winning the trust of the people,” recalls Ishtiyaq, a post graduate in political science. Given the number of unfulfilled promises made by local municipality officers from time to time, trusting private SWM consultants like Ishtiyaq and Mujtaba was difficult for people. In May 2016, Basix Municipal Waste Ventures Ltd, an Indore (Madhya Pardesh) based waste management company, decided to have its 100th board meeting in beautiful locals of Pahalgam, Kashmir. In January that year Basix Group had signed Raja Muzaffar, a social activist, as its consultant. The same year Muzaffar sent two boys – Ishtiyaq and Mujtaba – from Kashmir for a three month long training in SWM at Basix Group’s headquarter’ in Indore. At Pahalgam, Vijay Mahajan, the founder of Basix Group, met Chief Minister Mehbooba Mufti, and told her about SWM. Mehbooba instantly liked the idea and asked Mahajan if he could start something similar in Kashmir. Mahajan, who always wanted to work in the valley, reportedly told Mehbooba that Basix Group can turnaround Kashmir’s Swatch Bharat Abhiyan (SBA) ratings the way they did in Indore. In 2016, Indore had jumped to 25th spot among 73 cities in Swatch Bharat Abhayan ranking. “You can start by working in five municipal wards in Srinagar,” Mehbooba told Mahajan. Impressed by Mahajan’s enthusiasm Mehbooba immediately summoned the concerned minister and officers, and told them about the project. “She wanted us to start as soon as possible,” recalls Muzaffar. But despite Mehbooba’s clear cut instructions the project got caught in bureaucratic red-tapeism. Rather than working on the modalities, the concerned officers started killing time, much to the dismay of Mahajan and his local team members. “It was not easy for us to meet a Chief Minister every day. She gave directions, now it was minster and officer’s duty to see it implemented,” said Muzaffar. Then after hectic efforts from Muzaffar and his team, Director Urban Local Bodies finally invited Expression of Interest (EoI) in May 2016. “We bagged the project after fulfilling all the requirements,” said Muzaffar. It was decided that Basix Group’s role would be to provide information, education and communication to the people. They would also supervise the entire process: from segregation of waste at the source till it is turned into manure in compost pits. The local municipality would provide manpower, machinery and other resources. Instead of choosing five municipal wards in Srinagar, as desired by the CM, Basix Group chose Budgam to start the pilot project. The total population of these five wards was 2500 households. “It suited our requirement for the pilot project. Besides, being locals we knew the area better,” said Ishtiyaq. Almost six months later, once the situation started improving on the ground, Basix Group decided to go ahead with the SWM project in Budgam. They roped in fifty volunteers, mostly university students, who would go door-to-door with Ishtiyaq and Mujtaba to create awareness about SWM. “The focus was to educate housewives in such a way that they start segregating waste inside their kitchens,” said Mujtaba. The second step was to provide households with separate dustbins for organic and inorganic waste. “There was no money available for dustbins. So I took help from a local NGO and got dustbins for households,” said Muzaffar. As per the agreement Basix Group charged government just Rs 50 per household per month for their services. “This amount we spent mostly on salaries of our experts. We worked on almost zero profit,” said Ishtiyaq. Except local marketplaces, whatever waste – both organic and inorganic – would be produced in these households has to be segregated at the source. Ideally, a dumper truck with two partitions – one each for organic and inorganic waste – would come and collected the segregated waste. The truck would then drive to a designated compost unit where organic waste would be processed to make manure. “But we had to make use of ordinary vehicles of the local municipality. We created make-shift partition using wooden planks for transportation of segregated waste,” said Mujtaba. Once the distribution of dustbins and awareness part was done, the next big challenge for Basix Group was where to process the organic waste into manure. “Local municipality had no place to process it. Besides, no locality was ready to have a waste disposal site in their vicinity,” said Ishtiyaq. 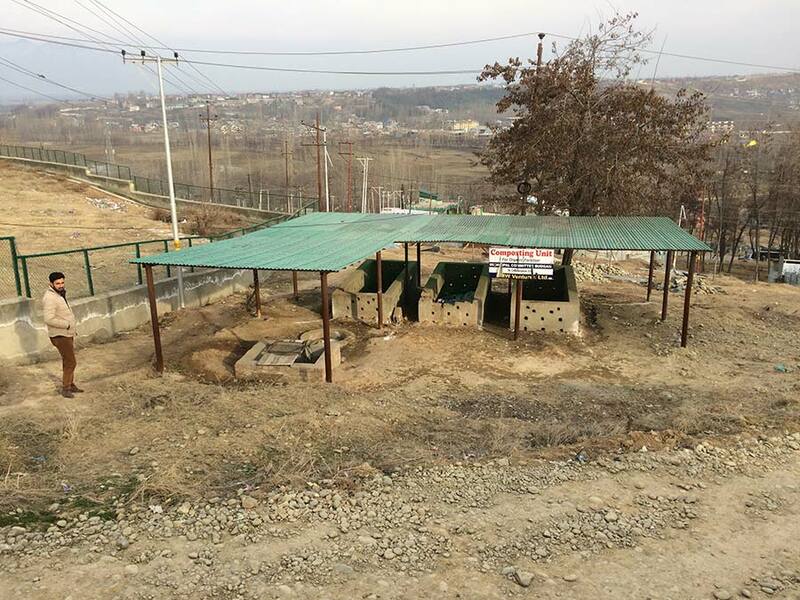 After talking residents into confidence, Budgam municipality finally constructed compost pits at the location. Once the three month pilot project was over, Basix Group was confident that the SWM programme will now be extended to all 13 municipal wards of Budgam. But they were wrong. The success of Budgam pilot project was forgotten as quickly as it was acknowledged by the officials. The indifferent attitude of Department of Urban Local Bodies (ULB) officials towards SWM project unnerved Basix Group members working on the ground. “Leaving such a project midway was very difficult as we had made progress on the ground,” said Mujtaba. In Wadipora locality of Budgam, Mohammad Ashraf Dar, 28, a shopkeeper, still follows instructions given by Ishtiyaq and Mujtaba about waste segregation some fifteen months back. “They had come up with good ideas, but like all other government projects that too didn’t last for long,” feels Dar. After Basix Group’s pilot project was over and no fresh tenders were issued, Budgam municipality vehicles started collecting waste in the old fashioned way: putting both organic and inorganic waste in the same truck. Since Basix Group left local municipality truck does come but without a partition now. And even if there is a partition, the municipal workers who collect the waste care less where they are putting it. Budgam town generates yearly revenue of around Rs 80 lakh per year, of which forty percent is spent on salaries of the daily wager staff and on other petty things. “Most of the money goes into running the affairs of the office,” informs Syed Naeem Rizvi, Executive Officer, Municipal Committee Budgam. In 13 wards of Budgam town 4 to 6 tonnes of waste is collected every day. This waste is then dumped at Mamat areas, a dumping site spread over 4 kanals of land. According to Rizvi, Basix Group had the knowhow and expertise but his department is not in a position to fund their exercise on its own unless state government helps. “It is a policy decision on which government is working. And soon there will be some workable plan,” said Rizvi. Since October 2, 2014, the money for such an exercise is available under Swatch Bharat Mission (SBM), a pilot project of Modi led BJP government. Under this schemes one time grand if given to villages to help them create infrastructure for cleanliness drives. Under SBM (Grameen), villagers with 150 households will get Rs 7 lakh; 300 households get Rs 14 lakh and 500 housholds get Rs 21 lakh. Both Ishtiyaq and Mujtaba are confident that if such a huge amount is utilized properly and in coordination, the entire Kashmir will be free of waste in six months. “You will not find even a single piece of plastic or polythene in any river, stream, locality, household etc. It will all be taken care of by people themselves once awareness is there,” said Mujtaba with hope. But does government officials really care to clean, Mujtaba and his friend is not sure.